The White House's Council of Economic Advisers on Friday recommended easing government regulations to lower drug prices and reinforcing the Food and Drug Administration's push to spur competition through expedited approvals. In a white paper, the council proposed increasing competition for pharmacy benefit managers, restricting drug-reimbursement under the 340B drug discount program and moving Medicare Part B drug coverage into Medicare Part D, among other recommendations. Under the current Medicaid reimbursement rules, pharmaceutical companies have an incentive to inflate private-sector prices so they can collect higher rebate prices from a large Medicaid customer base. The CMS could revise its rules to specify how manufacturers calculate best prices determined after the sale and the patient's recovery, as well as provide more guidance on how value-based contracts and price reporting would affect other price regulations, the council said. In the Medicare Part B program, many specialty drugs are reimbursed in physicians' offices and hospital outpatient departments based on a 6 % markup above the average sales price, which creates an incentive to raise costs. By moving Part B coverage into Part D, the 71% of Medicare beneficiaries who participate in Part D would receive prescriptions that they would fill and their physicians would administer, removing any economic incentive from prescribing decisions, according to the paper. While Erin Fox, who directs the Drug Information Center at the University of Utah, was disappointed that the paper didn't highlight the Creates Act, she supported Medicare and Medicaid reimbursement policy reforms that facilitate more generic drug utilization. "We see time and again Medicaid programs requiring our pharmacies to fill with only brand-name products, when much lower-cost generics are available," she said. "The reason for this is that Medicaid receives are rebate from the branded company." The report condemned "free-riding" foreign countries that force U.S. drug manufacturers to comply with pricing rules to gain market access. This allows them to undercut U.S. drug prices and erode manufacturers' returns. It also rejected imposing government price-setting on drug manufacturers, a tactic backed by Democrats, arguing that "if the United States had adopted the centralized drug pricing policy in other developed nations 20 years ago, then the world may not have highly valuable treatments for diseases that required significant investment." But getting other countries to pay "their share" of pharmaceutical costs is extremely unrealistic, Fox said. "I highly doubt trade policy reform would make any meaningful difference," she said. "The U.S. pays the highest prices because the market will bear it—until we figure out how to curb that greed, it will continue." The FDA approved more than 1,000 generic drugs last year, the highest mark in the history of the agency's drug approval program. The FDA has increased competition by expediting reviews of abbreviated new drug applications where there are limited approved generics, publishing an off-patent list of branded drugs without an approved generic and new guidance to improve communication between manufacturers and the agency. The White House advisers recommended extending this strategy to products that are second or third in a class that have no generics. This could lower prices by providing quicker entry into monopoly markets, they said. 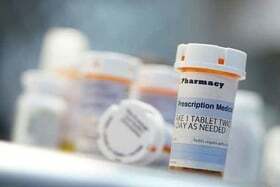 But these "me too" drugs are likely to enter at similar prices as their competitors, and the strategy fails to address issues surrounding pharmaceutical companies gaming the system through citizen petitions, getting additional exclusivity periods and evergreen their patents, Fox said. The council also advocated for increasing competition among biosimilars, which are more complex and expensive to make, by speeding up the issuance of final guidelines on demonstrating biosimilar interchangeability. Experts have widely touted the benefits of increasing the speed of interchangeable biosimilars to decrease costs. Still, prior policy recommendations have been thwarted. The Obama administration had proposed its own drug policy reforms that were ultimately quashed by pharma companies and providers. "The Obama administration had an opportunity with the ACA and control over the House and Senate and there wasn't really anything about drug price controls in there," said John Kelliher, managing director of the Berkeley Research Group. "The problem with drug prices is that it is easy to complain about but the policy tools to fix it are pretty limited, and even more limited if you're not doing some price control-regime. It leaves you tinkering around the edges." Rising drug prices have been a focal point of lawmakers, consumers and others involved in delivering healthcare who lament the current systems that lacks competition and free market control. Numerous headlines about drastic price increases and pharma companies' system-gaming techniques to elude competition fueled bipartisan outrage and 100-plus drug-price related bills. While many ideas have been proposed to lower drug prices, solutions thus far haven't stuck. The Creates Act and FAST Generics Act are two examples targeting drug prices by trying to close patent loopholes and potentially saving billions of dollars a year in reduced drug costs. Per-person spending on prescription drugs covered in employee-sponsored health plans rose 1.5% in 2017, less than half the increase in 2016 and the lowest in 24 years that pharmacy benefit manager Express Scripts has tracked the data, the organization reported Feb. 6. Generic fill rates increased from 85.1% in 2016 to 86.2% and increased generic competition helped slow drug prices' steep ascent, while spending on specialty drugs was up 11.3%, the lowest increase Express Scripts has reported. Still, pharmaceutical products cost more in the U.S. than any developed country. Looking ahead, health systems can expect drug prices to increase by 7.35% from July 1, 2018 through June 30, 2019, driven by the surging prices of branded, specialty medications, particularly disease-modifying anti-rheumatic drugs, agents for multiple sclerosis, oral oncology agents, and multiple treatments for hepatitis C, according to a recent forecast by the group purchasing and consulting organization Vizient. That projection was slightly down from last year's estimate of 7.61% as some specialty drugs like hepatitis C treatments are expected to level off and fewer drug price hikes are expected given the rising public scrutiny. An edited version of this story can also be found in Modern Healthcare's Feb. 12 print edition.